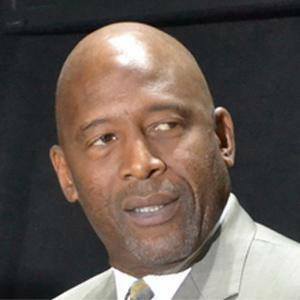 3-time NBA champion with the Los Angeles Lakers who also won an NCAA title with the University of North Carolina in 1982. 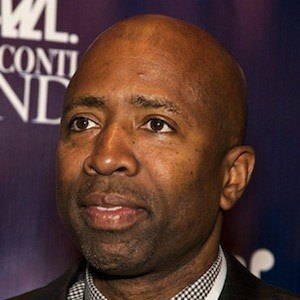 He was selected first overall in the 1982 NBA Draft and named to seven All-Star games during his 12-year career, all spent with the Lakers. He led Ashbrook High School to a North Carolina state championship his senior year and played in the 1979 McDonald's All-American game that also included future NBA greats Dominique Wilkins and Isiah Thomas. 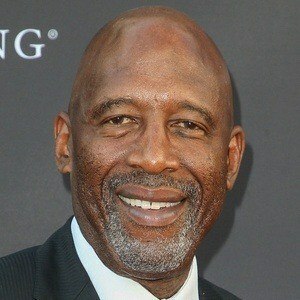 After retirement, he became a commentator and analyst for the Los Angeles Lakers. He had two daughters in the course of a 12-year marriage to Angela Wilder. He and Michael Jordan brought UNC an NCAA title after a thrilling 63 - 62 victory over Georgetown.